While some of our volunteers were at a weekend water rescue training, a few of our Downingtown Fire Dept. members helped recruit new members. 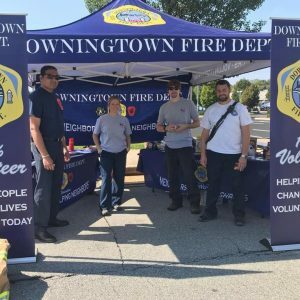 We hope that you visited the DFD New Member Recruiting Tent that was located on Green St. during the 9th. Annual Downingtown Fall Fest today. 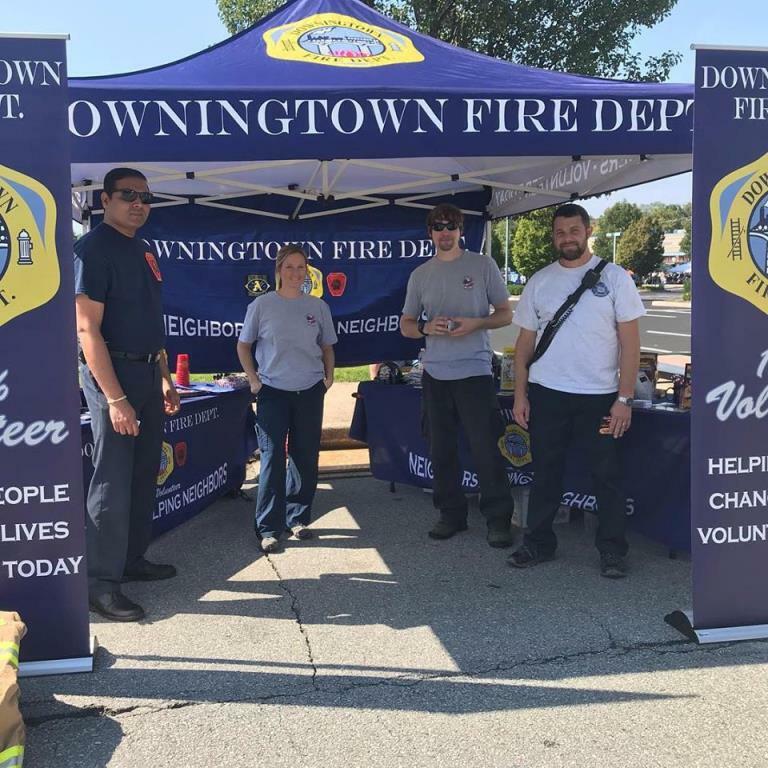 We would like to thank Steve Plaugher and the other members of the Downingtown-Thorndale Regional Chamber of Commerce for organizing this event and providing a space for the DFD Recruiting Tent. The Ninth Annual Downingtown Fall Fest presented by the Downingtown-Thorndale Regional Chamber of Commerce in partnership with Victory Brewing Company, the Downingtown Library and the Borough of Downingtown was held Sunday, September 30th. from 11 AM until 4 PM. 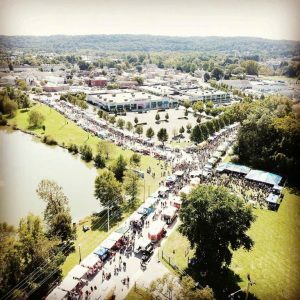 Fall Fest brings thousands of visitors to the borough in search of great food, crafts, music and the Victory Brewing beer garden. “This will be one of our largest Fall Fests, with more than 200 vendors registered to participate. Again this year, our vendor layout will utilize both Green Street and Pennsylvania Avenue. This layout, while great for vendors and guests alike, showcases both the open-space and retail aspects that make Downingtown such a great place to live and work,” said Mike Glover, president of the chamber. About 6,000 to 8,000 visitors are expected to attend.